There’s nothing inherently innovative in investing in whisky, but two fresh initiatives on opposite sides of the world are moving the activity into new areas. Gavin D Smith investigates. As whisky becomes an increasingly collectible commodity, a number of investment consultants, such as Rare Whisky 101, and investment vehicles – including Hong Kong’s high-end and private equity-backed Platinum Whisky Investment Fund – have sprung up. At the heart of their activities are old and rare bottles of whisky, but two recently-established ventures are taking a somewhat different tack. The Single Malt Club China is a commercial company established in 2005, and now boasts nearly 5,000 members. The club acts as an import agent for a number of well-known Scotch whisky brands and stages China’s only whisky auction. In 2014 it imported some 60,000 bottles of Scotch whisky and has now launched a £3m whisky investment fund to expand its activities in acquiring future stocks. ‘We are dividing our funds into three roughly equal portions,’ says marketing manager Kelvin Tam. ‘The first portion will be spent on importing into China bottled limited editions either from distilleries or from independent bottlers. The second portion ‘is for buying and bottling selected single casks, again for immediate import and sale to our members’, Tam adds. The third strand of the fund’s activities entails buying rare bottles at auction. ‘These bottles will be kept for appreciation, and will be sold in auctions throughout Asia at an appropriate return,’ says Tam. ‘This is the portion designed to give us extra return above the guaranteed income. Some £4.6m was spent on Scotch whisky at UK auctions alone during the first half of 2015, according to Rare Whisky 101 statistics. This suggests that consumers and collectors should not be overly concerned about the Single Malt Club China’s activities in terms of significantly raising prices and increasing scarcity of desirable bottlings – but its three-pronged plan emphasises Scotch whisky’s growing popularity as an investment tool. This is even more clearly exemplified in the creation of WhiskyInvestDirect, whose website declares its aim ‘to create a secure marketplace for the trading of maturing Scotch whisky stocks that 1) creates a potentially profitable new asset class for private investors and 2) enhances the industry's profitability by reducing the high cost of capital employed’. WhiskyInvest Direct is headed by Rupert Patrick, co-founder and chief executive, who has 24 years’ experience in the whisky industry, most recently with Diageo in Africa. His co-founder is childhood friend Paul Tustain, whose BullionVault business has been trading for 10 years. 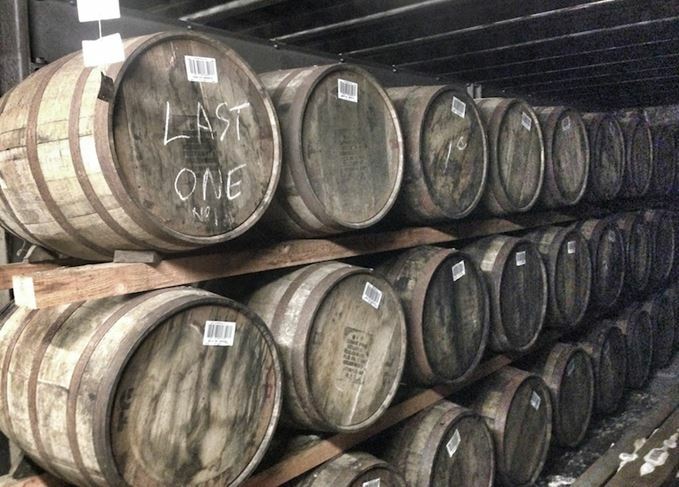 Essentially, WhiskyInvestDirect is an online trading platform for casks of Scotch whisky, as Patrick explains: ‘As an investment proposition it’s about a physical asset in a strong, solid market. ‘There is a value transformation that whisky goes through over time. It’s around 7% per year. In a world of virtually zero interest rates and very low share yields, we think this is a great opportunity to invest. WhiskyInvestDirect launched this summer with BullionVault supplying £2m of capital, plus a further £1.5m raised from friends, family and crowdfunding. The whiskies presently listed on the website are mainly Diageo-produced grains and malts, with most of the latter better known as blending components than as stand-alone single malts. Doubters might point out that, with distillers having invested heavily in increasing production during the past few years, ultimately there is more likely to be a surplus of ‘blending whiskies’ than a shortage, with obvious consequences for prices. ‘There is less 10-year-old whisky in the market than there is new-make spirit, and there’s a shortage of three- to 12-year-old whisky, as borne out by the number of no-age-statement expressions out there,’ responds Patrick. ‘Scotch is still very much about age in the popular mind. According to Patrick, one of the virtues of WhiskyInvestDirect is that ‘…it allows a company – large or small – to keep distilling to forecast and offload any surplus, with the opportunity to buy it back at a later date if they wish. WhiskyInvestDirect charges a commission for its brokerage services, but Patrick insists: ‘We’re not making fat commission margins because if you are, somebody will come along and undercut you. All investments carry risks, and gold – the main commodity handled by BullionVault – offers a cautionary tale, with values falling by 28% during 2013 alone. However, there seems to be no shortage of people all over the world eager to trade whisky, rather than simply to drink it. A new tech-based trading platform aims to benefit investors and ease pressure on distillers.